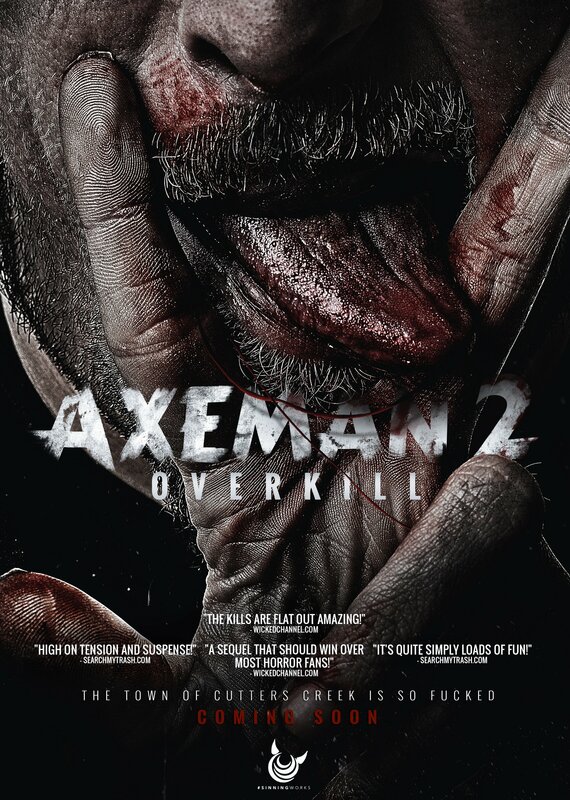 The 3 year wait is over and AXEMAN 2: OVERKILL by filmmaker Joston “El Rey” Theney is available today on blu-ray/dvd and digital download. The titular character played by WWE/WCW wrestler Bryan Clark hacks his way through a swath of evangelical christians, bank robbers and revenge-seeking vigilantes, starring MTV “Teen Mom” Farrah Abraham, CBS “Big Brother” Rachel Reilly, “Baywatch” alum Angelica Bridges, Monique Parent and a host of other familiar faces. This marks the 2nd installment of planned trilogy by filmmaker “El Rey” Theney. Blu-ray/DVD special features include Extended/Deleted Scenes, Audio Commentary, Behind the Scenes Featurette, Trailer and Photo Gallery.